Use the Beurer TENS-To-Go Pain Relief Mini Pads to target painful areas in your body or to receive a relaxing massage. 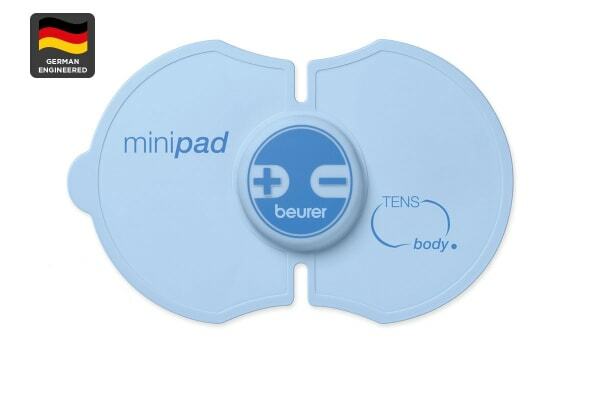 The Beurer TENS-To-Go Pain Relief Mini Pads are an easy and secure way to relieve pain in the comfort of your own home. Simply apply the self-adhesive gel film to the targeted area and choose your level of intensity from the 15 stages.